Published on December 16, 2016 in architecture and general info. 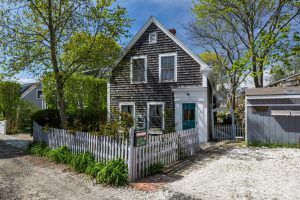 Closed Tags: Cape Cod condo sales, Cape Cod Luxury condo sales, Cape Cod new construction, Cape cod real estate sales, Cape Cod sales, Provincetown luxury homes, Provincetown new construction, Provincetown real estate. 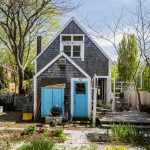 23 Watstons Court is a charmingly authentic Provincetown gem with four bedrooms, two baths and 1,740 sf. There is a one bedroom cottage in the back yard. It sold for $947,500 on an asking price of $995,000. MLS COPY: There are not a lot of these classics left! 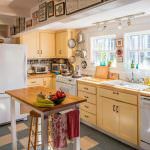 A beautiful antique that is welcoming and bright a long and sprawling home with two baths and four bedrooms (one presently used as an artist studio) A nice sized living room that enters into a study then a large country kitchen. A front and back staircase to enter the second floor. 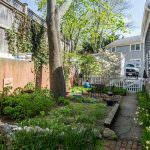 Beautiful gardens and special outside spaces. An exquisite cottage in the back yard that will just make you feel like you are home. The house has a new generator and recent heating system. A quiet yet convenient location. Five year old roof. So much potential for the right person!